On April 30, 2014, Military.com partnered with Monster.com to host the 2014 National Veterans Employment Summit. Leaders in business, government and education joined with military veterans to share effective veteran employment and retention strategies and ideas. The summit also addressed the best ways to help veterans prepare and connect with the companies that want to hire them. As reported in our recent article "More Jobs for Vets" where we discussed the legal changes Congress is making to ensure that more vets are hired in government contractor positions, American veterans had an unemployment rate of 6.5% in 2013 with disabled American veterans at 6.2%. With an estimated one million service members leaving the military in the next 5 years, that’s 62,000 unemployed disabled veterans alone. The Military Skills Translator. This is an amazing new tool to help veterans translate their military skills into civilian skills so that they can better design their resumes and applications to cater to the needs of civilian employers. It can also help veterans see different civilian job options they are qualified for that they may not have originally considered. JP Morgan Chase’s 100,000 Jobs Mission. 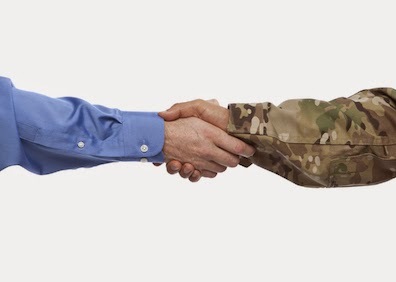 This is an online database designed to connect businesses dedicated to hiring veterans with veterans seeking employment. The Mission Continues. This organization offers well-structured fellowships to veterans at various nonprofit organizations to help them gain new experiences, develop skills, and make important contacts. The Department of Labor’s Transition Assistance Program (TAP). This program is a fantastic resource available to every service member preparing to leave the military and every veteran for the first 6 months after their retirement or separation. It is also available to military spouses. It provides workshops, employment counseling and advice, job opportunities, and much more. Hiring Our Heroes. This website connects veterans and their spouses with employers, job fairs, networking events, and much more. American Corporate Partners. This organization offers one-year mentorships from numerous employers for veterans to help launch them into a civilian career. The Gold Card Initiative. This program was founded by the Department of Labor’s Employment and Training Administration and the Veteran’s Employment Training Service. It provides intensive one-on-one training and guidance. With the many new resources popping up for employing veterans, we will hopefully soon see the high unemployment rate decrease. Hire more vets!